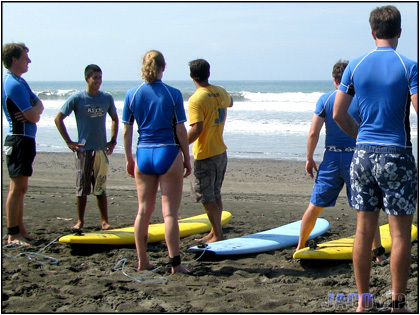 • All beginners surf lessons start out on the beach with an introduction to water safety, how to paddle, popping up, standing on the board and ocean awareness which will teach you how to read the waves. 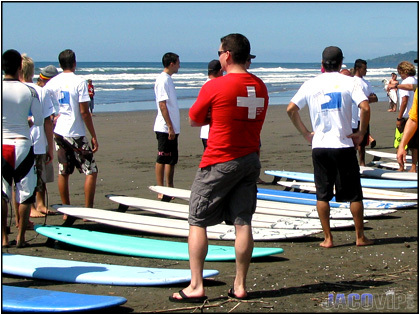 Once the basics are covered you will be hosted at all times by an instructor while in the ocean. 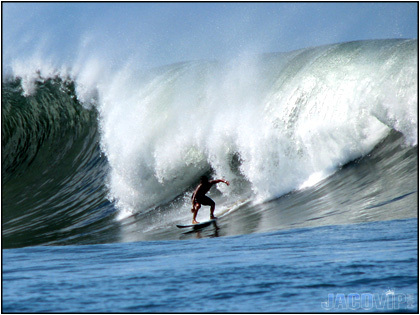 IT'S SAFE, EASY AND A BLAST! 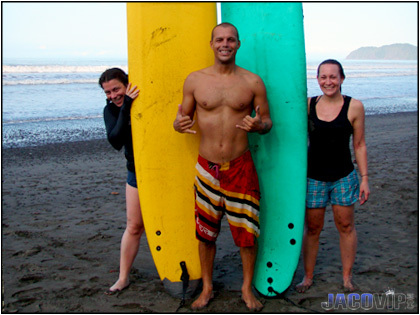 • With average water tempertures at around 78° Fahrenheit, long and slow rolling waves, and local instructors with years of experience in this region, your first surfing lesson in Costa Rica will more than likely result in you standing on your surfboard within your first lesson! 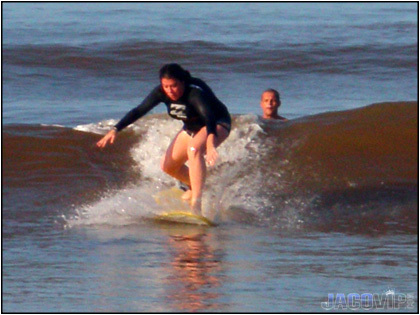 • PLEASE NOTE : Start times for surf lesson are dependent on tide cycles and ocean conditions. 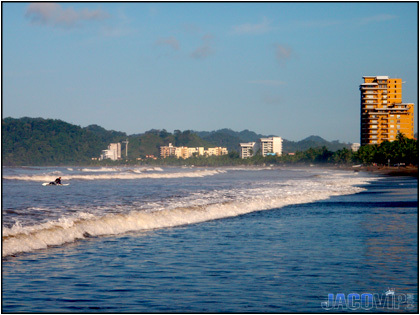 > CLICK BACK TO MAIN TOURS PAGE : OR CALL US NOW FOR EXCLUSIVE PACKAGE DEALS! 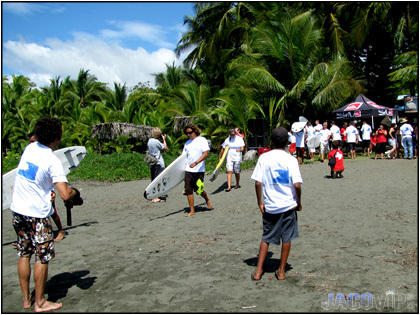 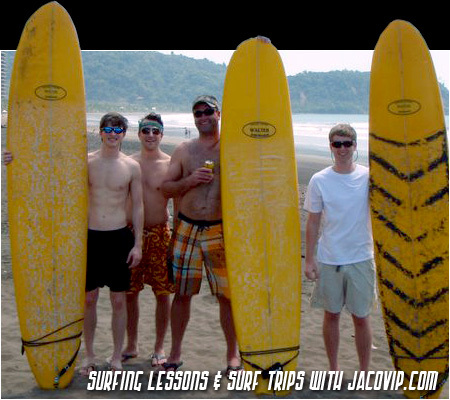 If you are are an intermediate or more advanced surfer, we can bring you to the breaks... Hermosa Beach is only a few minutes from Jaco and is internationally known as the best and most consistent surfing in Costa Rica. 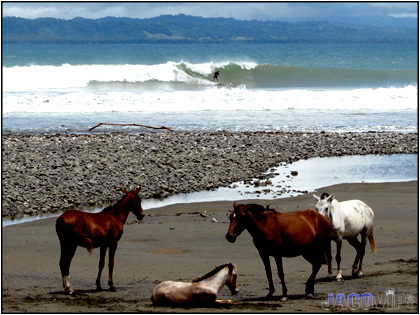 There are several other areas in the region that are ideal for surfing, some of which are little known and mostly by locals. 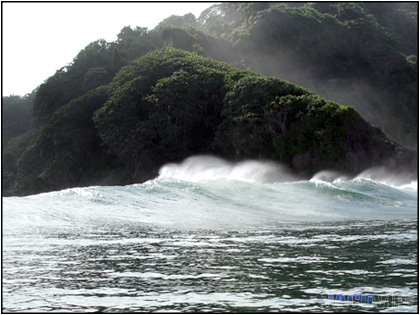 You want it, We deliver it.